For guests at the Aravis Lodge, in-house massage is available from our massage therapist, Sandi, who is available most afternoons after skiing to ease your aching bodies back to normality. The massage room is downstairs at the lodge so guests can just wander down for their treatment without even having to leave the hotel, and drift back to their room or the bar feeling relaxed and energised. Qualified in Remedial Massage Therapist at The Northern Institute of Massage in the UK, Sandi uses remedial massage techniques (such as soft tissue and fascial release) which clients feel to be particularly effective for restoring muscular balance , loosening over worked muscles and soothing aches and pains. 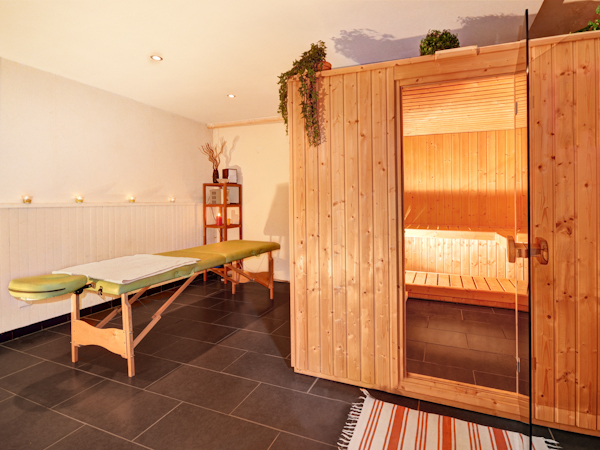 The apres-ski massage is the most popular at the Aravis Lodge, and is designed specifically for skiers to work on their aching muscles after a hard day on the slopes and prepare them to make the most of the next one! The apres-ski massage concentrates on the parts of the body that have been working hard during skiing (shoulders, lower back, back, legs and feet) using techniques to release those tight and aching areas. 1 hour: This massage gives time for a full consultation with the client to assess what areas of the body need most attention, and an opportunity to work fully on those areas, and the rest of the body to ensure the body is rebalanced ready for the next ski day. 45 minutes: As above, but with less time spent on each area. Quick Ski Fix – 30 minutes: For the quick fix massage, the emphasis is on either the back and shoulders or legs and feet. If you feel your body has taken enough hammering, either on the slopes or with a stressful time at work, you may prefer the relaxation massage . This massage is designed to relax your over-stressed body, relieve muscle tensions, improve circulation and lymph drainage and generally make you feel good in body and mind. It can be adapted to concentrate on areas you feel need special attention to provide an individual treatment. 30 minutes: This very relaxing treatment involves massage to the upper back, shoulders, upper arms, neck, face and scalp. It is done in a seated position and is especially beneficial for reducing tension caused by stress. Massages cost 30-35 euros for a half hour massage, 45-55 euros for 45 minutes and 55-65 euros for an hour. Pre-book your massage at the lodge 24 hours in advance. Appointments can be made for between 1600 and 1800 in the afternoon. All massages will be payable in euros directly to Sandi at the Lodge. Interested in a stay at the Aravis Lodge?